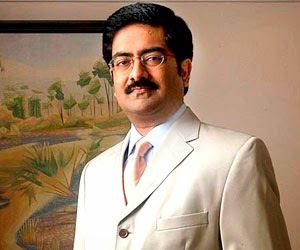 Kumar Mangalam Birla is an Indian industrialist and the Chairman of the Aditya Birla Group, one of the largest conglomerate corporations in India. The group is India's third largest business house. He is also the Chancellor of the Birla Institute of Technology & Science. He has B.Com degree from University of Bombay & Chartered Accountant from Institute of Chartered Accountants of India & an MBA from London Business School, London, UK, where he is also an Honorary Fellow. Kumar Mangalam Birla took over as Chairman of the Aditya Birla Group in 1995, at the young age of 28, after sudden death of his father, Aditya Birla, after whom the group is named. Many doubts were raised about his ability to lead the group with varied interests in textile and garments, cement, aluminum,fertilizers etc. but Kumar Mangalam Birla not only proved his skeptics wrong, but also has grown to become one of the most respected industrialists in the country. Under his leadership the Aditya Birla Group has expanded to Telecom, Software, BPO and other areas while consolidating its position in existing businesses.